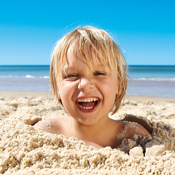 Make the most of your next Gold Coast holiday with the Official Gold Coast Travel app. Map out your days and nights as you explore all the amazing things to see and do in Australia’s favourite playground. This is the most innovative travel companion ever, allowing you to browse through more than 700 listings; find the best hotels, dine in the most exquisite restaurants, or simply find something that fits within your budget. But don’t just take our word for it, with more than 1000 fan photos supporting the app, see what it is that inspires holiday makers the World over. The app is also your passport to huge savings, with a revolutionary ‘Show and Save’ option providing the best value for money on all Gold Coast experiences. It’s easy to see why Australia’s Gold Coast really is Famous for fun. •Purchase tickets to all your favourite theme parks and entertainment.